Pretty good savings! If you wear thrift store treasures once and they’re not what you thought they’d be, just donate them to your favorite store and the good karma will come back to you another time. This entry was posted in bargains, clothing, saving money, thoughts tips and tales, thrift stores and tagged bargains, clothes, saving money, thoughtstipsandtales, thrift store finds. Bookmark the permalink. 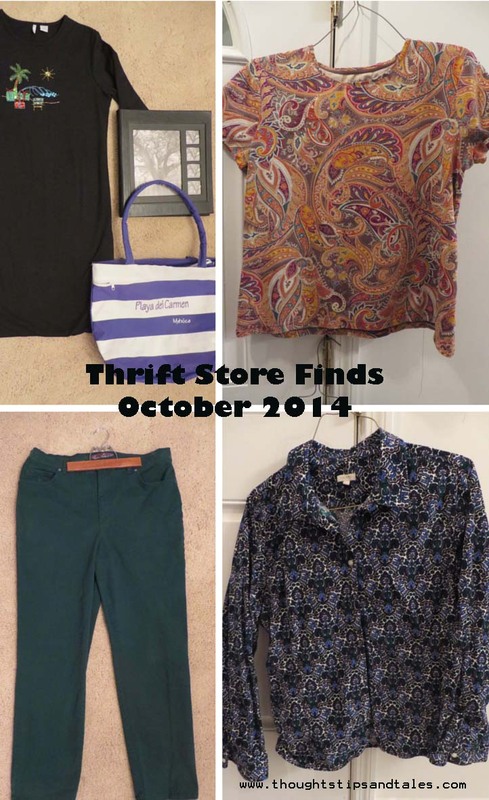 Wow great finds…love your blogs!! Wow. Great finds. Exactly why I love shopping in Thrift stores.